Local authorities have been urged to set up ‘Energy Boards’ and appoint an electric vehicle champion in a new guide out today. The guide, published by the Renewable Energy Association, sets out the taxes and grants available to councils to support the deployment of electric vehicle infrastructure and encourage vehicle take-up. It argues that new Energy Boards could investigate ways of saving money by coordinating electric vehicles roll-out, switching to renewable energy providers for their properties and investing in solar and energy-from-waste projects. 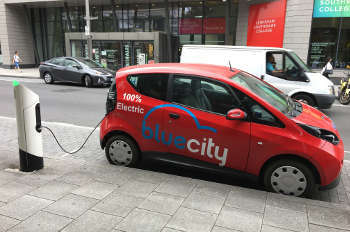 Dr Nina Skorupska, chief executive at the Renewable Energy Association, said: ‘It is clear that as costs fall and battery ranges improve, the choice to buy an electric car or van will become more commonplace. ‘While the drivers of this historic shift may be global, the impacts will be local and local authorities will be on the front lines. The expectation that a reliable, accessible, and affordable charging infrastructure will be in place is, in the eyes of much of the public, the responsibility of local government. This story first appeared on localgov.co.uk. Register just once to get unrestricted, real-time coverage of the issues and challenges facing UK transport and highways engineers. Full website content includes the latest news, exclusive commentary from leading industry figures and detailed topical analysis of the highways, transportation, environment and place-shaping sectors. Use the link below to register your details for full, free access. Register here to get FREE access to all articles on Transport-Network.co.uk. Car pooling: Data science or social science? Transport for New Homes: what do we need? The international on-line resource for traffic management, transport and engineering research papers from the publishers of Traffic Engineering and Control magazine.